Stock markets on Friday fell for a fifth session, taking the Sensex down by another 317 points as State Bank of India plunged 5.36 per cent after it reported a rise in non-performing assets (NPAs) and investors continued to fret over rising US-North Korea tensions. According to analysts, risk appetite took a hit after the Economic Survey said achieving the high end of the 6.75-7.5 per cent growth projected previously will be difficult and called for more interest rate cuts to boost the economy. The BSE Sensex remained in the negative zone and settled down 317.74 points, or 1.01 per cent, at 31,213.59, its weakest closing since July 4. The index had tumbled 794.08 points in the last four sessions. The NSE Nifty after cracking the 9,700-mark to hit a low of 9,685.55, finally settled lower 109.45 points, or 1.11 per cent, at 9,710.80, a level last seen on July 7. 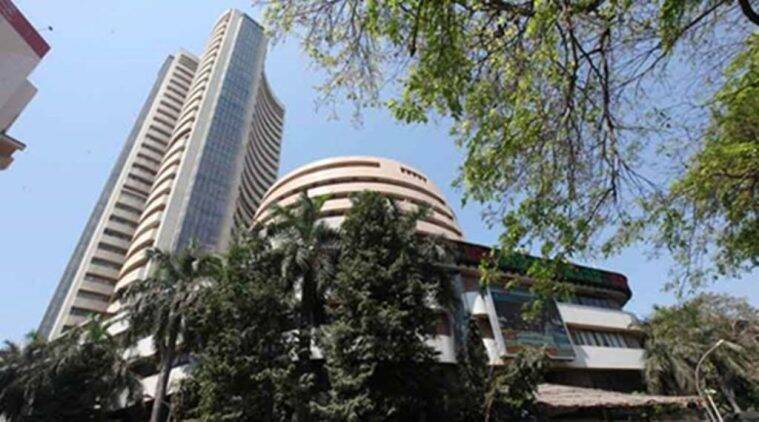 For the week, the Sensex and Nifty both recorded first fall in six weeks, plunging 1,111.82 points, or 3.43 per cent, and 355.60 points, or 3.53 per cent, respectively. Weakening global risk appetite in the wake of US-North Korea tension has triggered profit-taking after shares scaled record highs last week. Weakness in the rupee against the American currency and lacklustre global shares dragged down the indices, too. “Profit booking in the higher levels led the market to close flat. However, the volatility is relatively low due to the prevailing sentiment. The market could turn into consolidation as buoyed sentiment may reverse due to the fact that there is a lack of support from earnings growth,” said an analyst. “Investors across the globe continued to pare risky positions amid rising geo-political tensions between the US and North Korea. Domestic sentiment was also adversely affected after the mid-year economic survey said there are downside risks to the Indian government’s growth forecast of 6.75-7.5 per cent for 2017-18,” said Karthikraj Lakshmanan, Senior Fund Manager, BNP Paribas Mutual Fund. J Kumar Infraprojects and Prakash Industries resumed trading on Friday and crashed by up to 20 per cent to hit the lower permissible limit after SAT stayed the curbs imposed by Sebi on them.